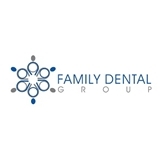 A Family Dental Group (Belleville) - Book Appointment Online! We are a one stop Family Dental Office to assist you with all of your dental needs. Including Cosmetic Dentistry, Implant placement and Restoration, Periodontal Cleanings, Child Hygiene Education, and a broad span of specialists to address any needs you may have. Loved the doctor and everybody at the practice! Warm, welcoming and informative. Estimated patient portion for services was spot on! Can't wait for my next visit!